The Grand Boulevard Initiative was featured at the California American Planning Association 2013 Conference in Visalia, CA. The session addressed the value and success of regional and inter-jurisdictional planning, focusing on lessons learned and recommendations from three distinct Complete Streets, Economic & Housing, and Infrastructure Financing projects funded by a federal TIGER II Planning Grant. SamTrans and the City of Millbrae are providing pedestrians with a safe, new crossing on El Camino Real to reach the Caltrain/BART Intermodal Station. The new signal, combined with landscape and walking path improvements, provide customers with a more pleasant way of getting from the transit hub to downtown Millbrae. The Victoria Avenue project in Millbrae created a street crossing signal with a well-defined walking path and added sidewalk, bus stop and landscape enhancements to improve safety and access to the station for pedestrians. Making El Camino Real a more walkable, transit-friendly environment is one of the core objectives of the Grand Boulevard Initiative, which provided funding for the project. Millbrae and SamTrans are both members of the Grand Boulevard Initiative, which seeks to transform El Camino Real into a pedestrian-friendly boulevard with mixed-use residential and commercial development. Grand Boulevard partners share a vision for the future of the Peninsula's "Main Street" and are taking a grassroots approach to achieving that shared vision on a project-by-project basis. "While achieving a safer pedestrian environment was the project's most important goal, this work has the added benefit of encouraging walking and transit use by making the experience easier and the corridor more inviting," said Millbrae Mayor Gina Papan. The improvements cost $475,590, which were contributed through a combination of federally available funds earmarked for local projects and local contributions. 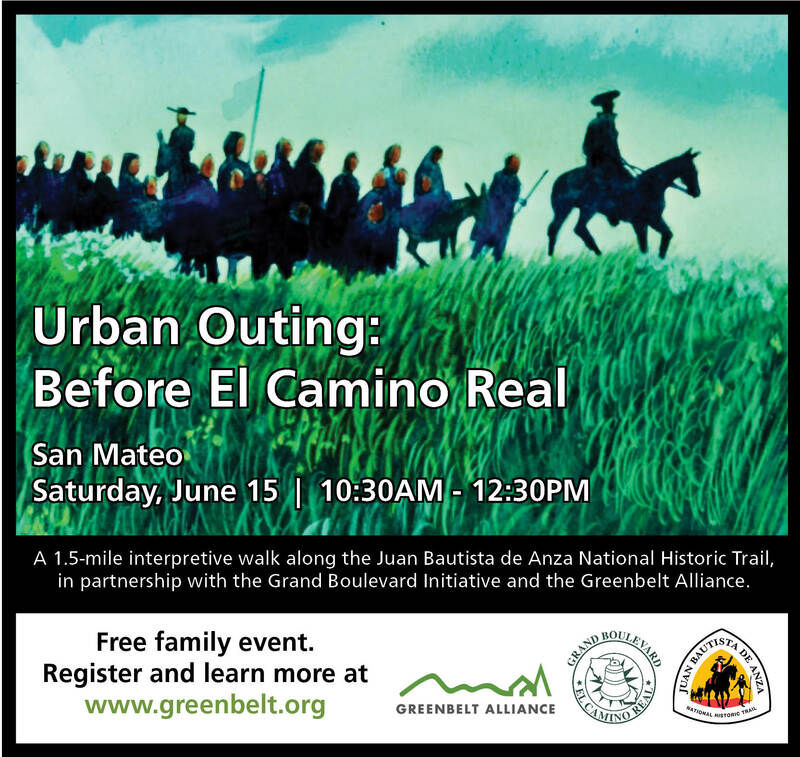 Join the Grand Boulevard Initiative, National Park Service, and Greenbelt Alliance for a 1.5 mile historic walk through downtown San Mateo on Saturday, June 15th. The walk will follow a portion of the Juan Bautista de Anza National Historic Trail. A National Park Service ranger will lead the interprestive walk, bringing the voices of the past together with a vision for the future of El Camino Real. Space is limited, so be sure to RSVP here. The Grand Boulevard was featured at a full-day conference on May 7th that highlighted impact investing opportunities and challenges for fiduciaries operating in the San Francisco Bay Area and broader California. Many fiduciaries of institutional assets are unfamiliar with impact investment opportunities and their related portfolio implementation issues. The conference explored these opportunities and implementation issues with a particular focus on the Bay Area. The discussion included leaders in finance, philanthropy, academia, and policy. The goal of the convening was to identify ways for fiduciaries to safely move assets into alignment with regional economic development and sustainability goals. Michael Garvey presented the Grand Boulevard as one such opportunity. At the close of the day, Lauren Agnew, of Seal Cove Financial, called for participation in development of a Bay Area Impact Investing Initiative and was met with hearty enthusiasm from much of the audience. Stay tuned for updates about this intriguing topic. 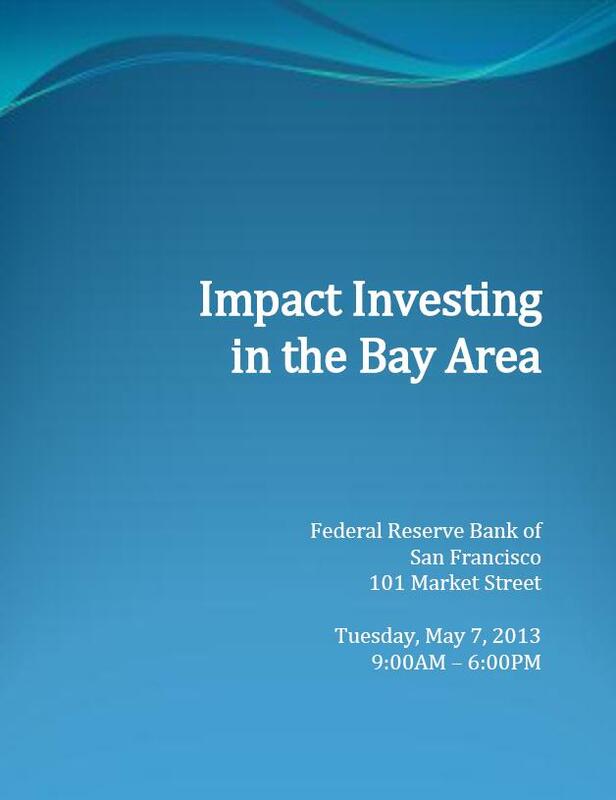 The conference was held by the Federal Reserve Bank of San Francisco and Seal Cove Financial. The conference program can be found here and includes a list of attendees and executive summaries of recent impact investing studies. 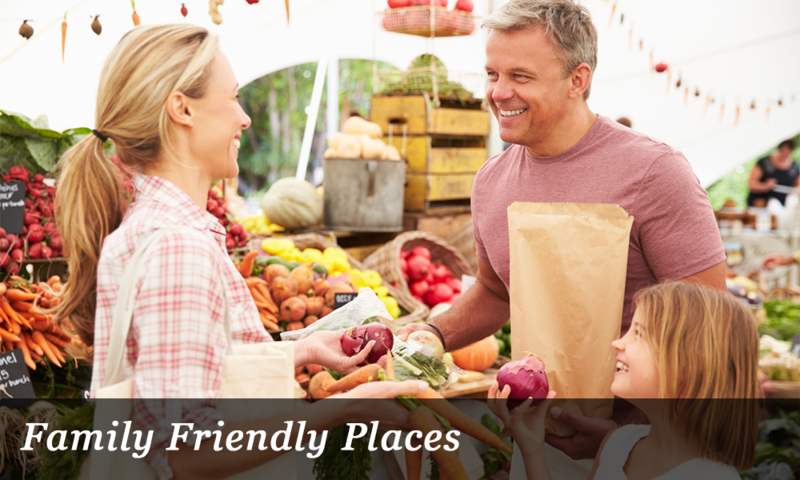 The Grand Boulevard was featured on KQED's Forum with Michael Krasny! The Grand Boulevard was the topic at SPUR today!